When I had initially starting organising my wedding, hiring a videographer was just an added expense that I thought we could probably do without. After having a look around just to see the type of quality I could expect from a videographer I turned to YouTube where the very first video I selected happened to be a Video boutique video…… and after being captivated for 3 and a half minutes I was sold! Little did I know that by the end of our wedding day and throughout the whole editing process of our video that I would feel like I had shared our most important day with the most talented videographer, editor and company as a whole. Faz himself ended up feeling like a close friend on our wedding day and this was reflected perfectly in our final video. I am beyond grateful having had Faz, Ellena and Anthony being a part of our wedding day and I would choose them over and over again. I feel that Video Boutique are running a show of their own, no competition what so ever as the quality of their service and video is above and beyond competitors. I would highly recommend Video Boutique to anybody who is wanting to feel the joy and overpowering sense of love for years and years to come. I look forward to using them again for future milestones in our lives. To be honest-having a videographer included on our special day was something we were skeptical at first to include. It wasn’t until I was exposed to the talented work Video Boutique produced online that I knew it was something we then had to have. From initial contact to the day our beautiful film was complete; the team at Video Boutique delivered everything they promised my now husband and I. On our wedding day we were lucky enough to have Faz join us for the journey that was our wedding! We had quite a large bridal party so I would prepared for things to get over whelming at even a bit hectic with photos, videoing etc-However having Faz there was an absolute god send to me on the day! Faz blended into our bridal party like he had known us for years, making everyone feel extremely comfortable and was never without a smile across his face for the entire (big!) day, which really gave me the positive energy I needed after millions of photos in an unbreatheable dress and 30 degree heat! After photos and filming would end friends and family would all mention to Adam and I what a pleasure he was to deal with and how lovely he was to have around our special event. A credit to Faz who patiently waited for us to share our first dance, as things do at the wedding we were running a bit behind and needed to wrap up the filming-Faz knew how important it was to me to ensure our first dance was captured on the video and I cannot thank him enough for baring through it all to get the footage. Video Boutique were a fantastic, affordable and professional service I would, an already have recommended to our family and friends. Thank you again for everything the film is absolutely magical and we cannot stop showing all our family and friends who again re-lived the emotion and love present on our special day. Just writing to you and your team to say thank you very much for all the work you’ve done on our wedding video. We had an absolute ball and Faz’s work was flawless on the day. He made us feel comfortable and generated a fair few laughs from the bridal party. My husband was at first skeptical about getting a videographer for our wedding suggesting photos would be enough but he’s is now very glad we got one. So glad that in fact, he’s watched the video more than I have! The video has brought many laughs to all our friends and family who have watched it so far and for that we are thankful to the team at video boutique for capturing priceless memories and beautiful moments on what was the best day of our lives. Thank you from the bottom of our hearts for capturing our wedding day so perfectly. 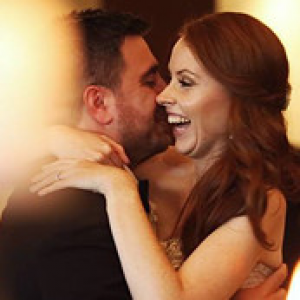 We were absolutely lost for words, and had smiles plastered on our faces from ear to ear after watching our wedding video for the first time, and continue to have the exact same reaction every time we watch it! We have had so much positive feedback from family and friends who are amazed at the quality of the film, and just love it as much as we do. The highlight video is such a beautiful and happy snapshot of our wedding, it perfectly captures the vibe and atmosphere of the day. We have watched it countless times already, and so have our family and friends. It is perfection! The full wedding movie movie edit and raw footage is also SO amazing to watch!! We had such a fantastic time reliving our wedding day and seeing everyone enjoying themselves as much as we enjoyed ourselves! You miss out on so much on the actual day, it was fantastic to watch back and see everyone mingling and having fun and tearing apart the dance floor! Organising Video Boutique to capture our day was definitely one of the best investments we made when planning our wedding. 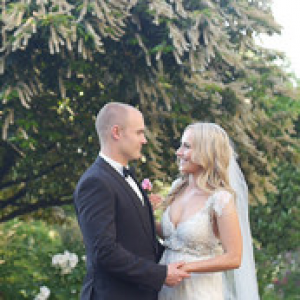 You would be CRAZY not to want your special day captured on film. Thank you again for all your hard work, professionalism and friendly nature throughout the entire process. Couldn’t have asked for more. Thank you so much for all the work you put into our pre-wedding video and the wedding video! We have watched the pre-wedding video at least 100 times (i’m sure we will watch the wedding video 100 times once we get the final edit!) When Bojan first brought up the idea of doing a pre-wedding video, I was concerned it was going to be a lot of work but you made the experience so much fun. We are so happy that you were able to capture the nuances of our relationship and our families in a comical and entertaining way. You and your team have really gone above and beyond to produce memorable wedding videos. Thank you so much to the amazing team at Video Boutique for your hard work and dedication in creating Cam and I a beautiful memory of our big day. Your communication and professionalism made everything so easy, and the final product was everything we could have asked for and more. Faz was such a fantastic person to have there on the day and he made us feel so comfortable and at ease. We will certainly be recommending your team to our friends and family. 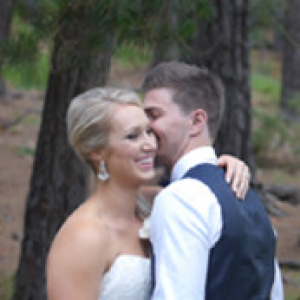 Anthony and his team are true professionals with a natural flare for wedding video’s like no other. From the first time we made contact to the wedding day, they never missed a beat. Leading up to the day there is always a lot of stress and one thing I felt really comfortable with was that I was in good hands with Anthony. When he arrived on the day he made everything so easy and fun. He interacted with everyone in the wedding party and wasn’t in your face which I loved as everything felt so natural. When we received the final version of the video, I couldn’t believe just how amazing it was. He captured every moment perfectly and made it look effortless. Yet when you watch it, you know just how much work had gone into it I also have to add, Anthony was one of the best people on ground on the day and he was a true professional with a care factor. 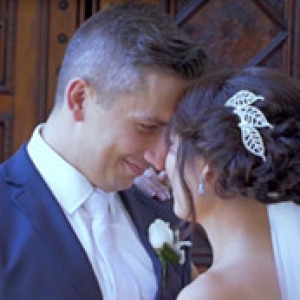 I would not hesitate to recommend the Videoboutique to anyone, in fact I tell anyone getting married that they should have a video by the Videoboutique, they will not regret it. We wanted to say a MASSIVE thank you to the whole team for providing us with such a warm, happy, fun and all encapsulating wedding video! At first, we thought that we weren’t going to hire a videography team for our wedding. We had spent a lot on photography and thought that this is all we would need. After discussing with family and friends, and doing our own research, we decided to just go for it! 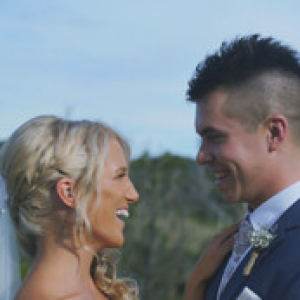 Not only did VideoBoutique surpass all that we had hoped from a videography team, they provided us with prompt service that was worth so much more than just the money we paid. We now have something that will allow us to go back and watch when we are feeling nostalgic in 10, 20 and 30 years time. Its also great to have when you feel the post wedding “come down”… trust me – it happens! A special thank you to George our videographer on the day – who was quiet, calm, professional and captured everything without even being seen (I still don’t know how he did it!). He directed us when we asked for it, but worked as a team with our photographer so well that you would have thought they had been together for years! Thank you to Stefan who edited our video and was in constant contact with us. The end result was perfect! And a final thank you to Anthony who, despite us being disorganised closer to the wedding day due to family illness, allowed us to talk through everything with him, time and time again, and put no pressure on us to make brash decisions. He was understanding, and went beyond the “call of duty” in his assistance and direction. Once again, we couldn’t be happier with the final result. Video Boutique are a seamless team, and just generally a warm bunch of people! We have already recommended them to friends who are getting married in 2016!